Landry, who earned his master’s degree at UNC, says that music students need to be in a place where they can go beyond the classroom and recital hall to further develop their craft. And Greeley, it turns out, offers plenty of opportunities to do just that. “There are so many places to make music here,” he says. 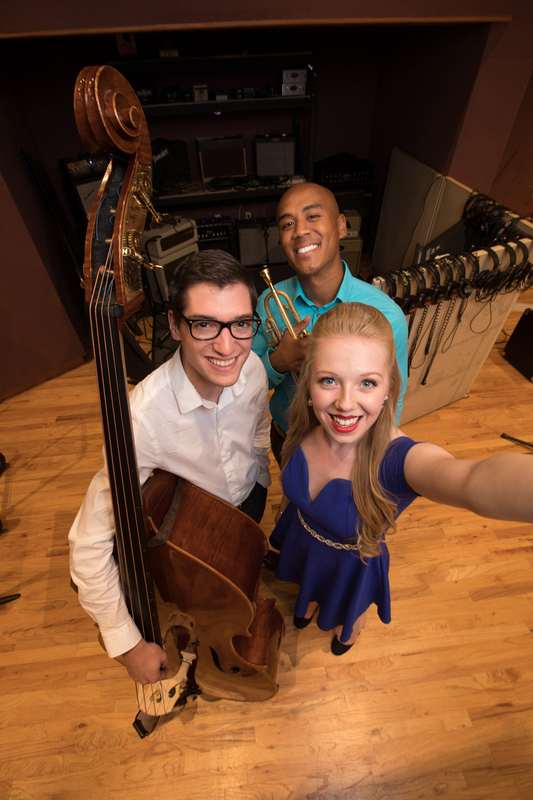 Students arrive at UNC focused on music – but they’re often unsure exactly how to apply it. By the time they leave, they’re well on their way to becoming working professionals around the world, having been given opportunities within the community to work on their art. Like Angela Parish, the singer/songwriter featured in the film La La Land, and Chris Smith, jazz drummer and instructor in New York City. “It is important to continue the outstanding legacy and tradition that has been built here,” says Michael Alexander, director of UNC’s School of Music. “We continue to attract incredible faculty who are national and international leaders in their disciplines.” It’s how excellence is sustained, he explains. And it’s why, right now, 534 students are studying music at UNC—95 of them in the jazz program. “That’s huge,” says Alexander. With just over 12,000 students enrolled in the university, he says, that means one in 23 is at UNC to study music. One of America’stop music schools. University of Northern Colorado Over 100 Downbeat awards. A Grammy nomination. An international reputation.